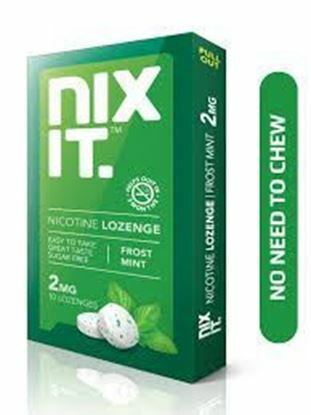 Information about Nixit 2mg Lozenges Frost mint Nixit 2mg Lozenges is a Nicotine Replacement Therapy to help you quit smoking. 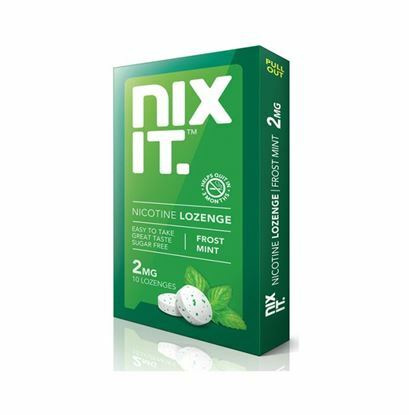 Nixit helps you quit smoking by reducing your cravings and withdrawal symptoms. The dosage of Nixit is steadily reduced over the duration of the course allowing the body to gradually adjust to nicotine independence. The direction of use: Place the lozenge in your mouth. Keep rolling it around till it dissolves in 15-20 mins. Please do not chew, bite or swallow the lozenge.